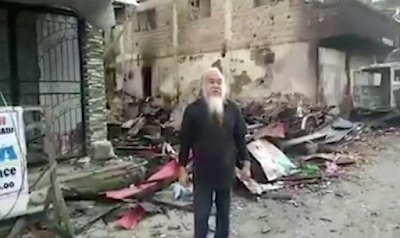 A Kidnapped Catholic priest who is been held prisoner nearby 200 hostages, including kids, by aggressors connected to ISIS in the southern Philippine city in Marawa, has showed up in a video arguing for offer assistance. Fr. Teresito "Chito" Suganob, a Catholic priest in Marawi, Philippines, was abducted last Tuesday night alongside not less than twelveworshippers and church workers. In a video released Tuesday, which was allegedly taken under duress, Father 'Chito' said his captors wanted the military to withdraw its forces from Marawi, where Islamic militants have dominated following the ongoing gun battles with the army. 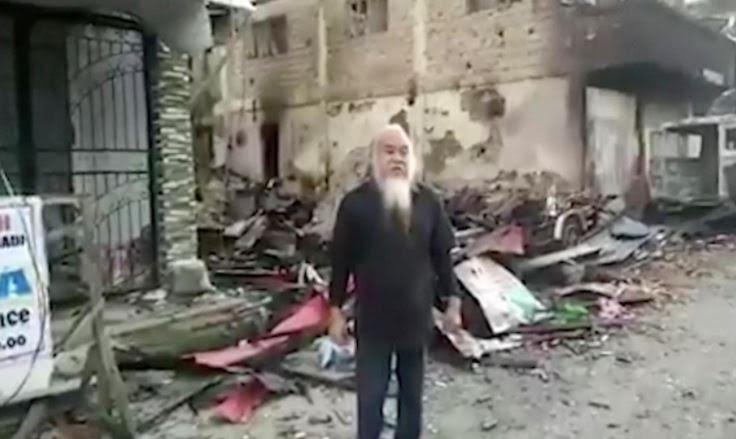 CBCP News, the official news service of the Catholic Bishops Conference of the Philippines, said it was unclear when the video was taken, but it does show Fr Chito amongst destroyed houses. In a telephone interview, Marawi Bishop Edwin de la Pena confirmed that it was Suganob in the video. "I was glad to see that he is alive but we were also saddened because the fact that the terrorists are ready to negotiate means they are pressed against the wall and they are also desirous to get away from the situation and their bargaining chip are the hostages," he said.